While on tour promoting her latest album Tell Me You Love Me, Demi Lovato released a new single Thursday morning on both Twitter and in an Instagram post. Titled "Sober," the song appears to reveal that Demi has relapsed after more than six years of sobriety. "My truth... #sober out now," Demi captioned her Instagram post. "Momma I'm so sorry I'm not sober anymore / And Daddy please forgive me for the drinks spilled on the floor," Demi sings in the chorus. "To the ones who never left me, we've been down this road before / I'm so sorry, I'm not sober anymore." She also apologizes to her fans in the song by singing, "I'm sorry for the fans I lost, who watched me fall again / I wanna be a role model, but I'm only human." Though, she does reassure both her fans and herself that she will seek help: "I'm sorry that I’m here again / I promise I'll get help / It wasn't my intention / I'm sorry to myself." The song was released recently after Demi celebrated six years of sobriety. "Six years ago," she told an audience in Brooklyn back in March, "I was drinking vodka out of a Sprite bottle at nine in the morning, throwing up in the car and I just remember thinking, 'This is no longer cute. This is no longer fun. And I'm just like my dad.' So I made changes in my life." 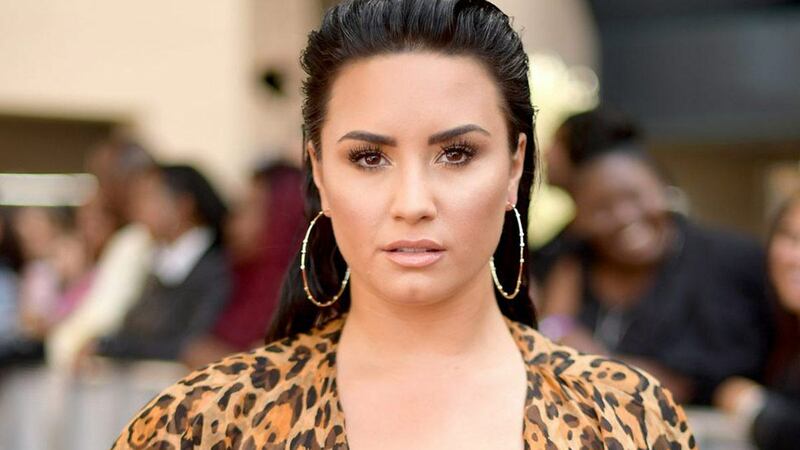 In recent years, Demi has been open and honest about her struggles with sobriety and mental illness. Earlier this year, she even announced that she was offering therapy to her fans while on tour. "I just know how important it is to use my platform to help others and to share my story in hopes that it inspires people to either get into recovery or better themselves. Whatever it is, I just want people to know they're not alone and I'm here for them."